New York is one of the most popular city break destinations in the world, with many airlines providing non-stop flights from within the U.S. and Europe. The city has a host of hotels and accommodations that cater to honeymoons or romantic weekend breaks. Hotels in Manhattan are within walking distance or a short cab ride from the city's major sightseeing attractions such as the Empire State Building, Times Square and the Broadway Theater District. New York City is a combination of five boroughs. The New York Palace is located in Midtown Manhattan and offers a special "Royal Romance Getaway" weekend package. The promotion includes a night's accommodation in one of the 86 suites with views of the New York skyline, chocolate-covered strawberries, a bottle of Louis Roederer champagne and an American breakfast for two in the Istana American Brasserie or via room service. The Istana restaurant is set in the hotel's grand lobby and offers a menu of bistro-style cuisine. Amenities include a spa which provides an array of beauty treatments and services including massages, facials, body treatments and waxing. The hotel is situated on Madison Avenue, amongst Fifth Avenue boutiques, Broadway theaters, Central Park, Rockefeller Center, the Midtown business district and a short distance from Times Square, Grand Central Station, Carnegie Hall, Radio City Music Hall and the Empire State Building. The Carlton Hotel is located in Midtown Manhattan and offers the "New York City of Romance" package. The weekend package includes one night in a standard room, with upgrades available for an additional cost; a dining gift card to the value of $100 for use in a selection of romantic restaurants; a romance basket including champagne and luxury chocolates, and Sunday Brunch aboard a harbor cruise. The four-star hotel has a choice of 317 guest rooms and suites, designed by architect David Rockwell. Attractions such as The American Museum of Natural History, St. Patrick's Cathedral, the Museum of Modern Art, Union Square and the Guggenheim Museum are located within thirty minutes traveling distance from the hotel. The Paramount Hotel is a modern boutique hotel, located in Manhattan's Times Square. The residence offers romantic weekend packages with two nights' hotel accommodation and a choice of options, including flower delivery, champagne service, priority dining reservations, sightseeing tours, personal shoppers and Broadway show tickets. Accommodation provides a choice of 597 guest rooms and suites, renovated in 2009 and featuring views of the New York skyline. 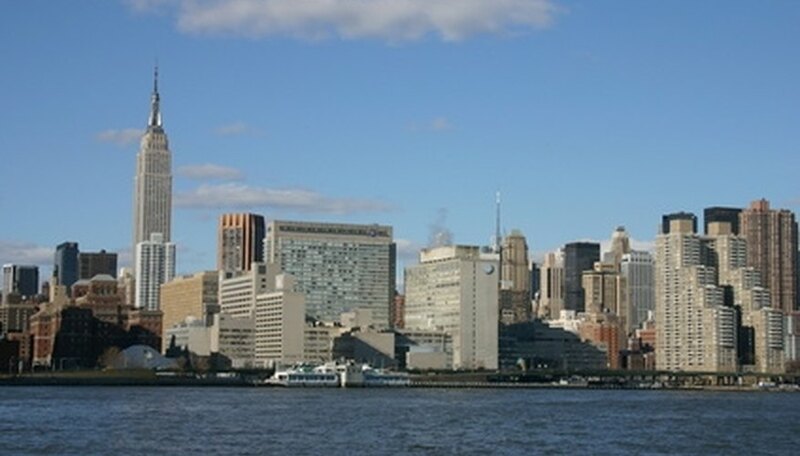 The hotel is situated within close proximity of New York's landmarks and attractions. Simon, Chris. "Romantic New York City Weekend Getaways." Dating Tips - Match.com, https://datingtips.match.com/romantic-york-city-weekend-getaways-7236005.html. Accessed 19 April 2019.